Garden City, NY - April 14. 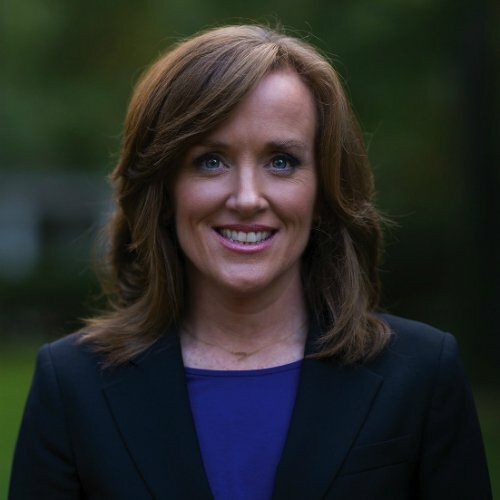 2015 - U.S. Representative Kathleen Rice announced today that representatives from the U.S. Census Bureau have agreed to attend a meeting on May 29th and hear input from Uniondale community leaders and public officials advocating for the repeal of “East Garden City” as a census-designated place. The three-square-mile area has been designated “East Garden City” since the 2000 census, but has historically been part of the unincorporated village of Uniondale. In a letter to the Census Bureau’s New York Regional Director, Jeff Behler, Rep. Rice argued that this designation is unwarranted and divisive, and undermines the identity of the larger Uniondale community. Regional Director Behler welcomed the invitation and confirmed that the designation can be changed through local input from all relevant stakeholders. Rice’s letter to the Census Bureau is available here. The meeting will be held on May 29th in Rice’s District Office. More details will be provided in the weeks ahead. A list of the individuals who have been invited to participate can be found below. "The Uniondale Fire Department and Board of Fire Commissioners are greatly appreciative of the Congresswoman's work to make this meeting happen,” said Uniondale Fire Commissioner Richard T. Harris. “We serve the Uniondale community, and that includes the area now formally designated East Garden City. Our trucks say Uniondale and the men and women in our department risk their lives every day for the Uniondale community. It’s troubling to me that part of our community has been taken away from us, and I’m hopeful that through this meeting we can come to a resolution and keep Uniondale united." "I applaud the Congresswoman's efforts to bring all sides to the table in order to make Uniondale whole again,” said Dr. William Lloyd, Superintendent of the Uniondale School District. “The Uniondale School District relies on the entire tax base of Uniondale, and the possibility that part of that tax base will be taken away has worrisome implications. I look forward to sitting down with the Census Bureau, elected officials, and community leaders in order to ensure that the district can continue to serve all our students for many years to come." Photo by Nymetsfan8790, via Wikimedia Commons under Creative Commons Attribution-Share Alike 3.0 Unported license. Subject: LongIsland.com - Your Name sent you Article details of "Rep. Rice Leads Push to Re-designate “East Garden City” as Uniondale"